You Can’t go Home Again, or Can You? 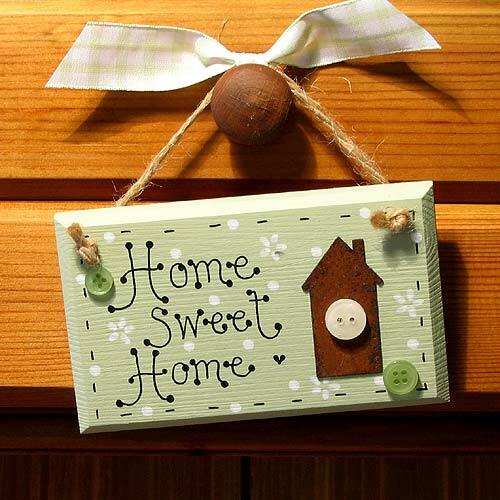 Have you ever longed to go back to your childhood home—one that your family left many, many years ago? Did you dare drive around in the neighborhood or maybe even knock on the door in hopes of connecting with the new residents and maybe getting a chance to go inside? Or maybe your childhood memories were too painful to even think of doing such a thing. This kind of chance of a lifetime recently presented itself to me—and like so many of these life coincidences; I took it as a sign from God to follow where He was leading me. It was on my 54th birthday—also the day that my driver’s license was expiring. So a trip to the Department of Licensing became a high priority on this day—not something I really had time for or wanted to do. I made the best of it though, even deciding to wear a special outfit so my ‘mug’ shot might have a chance of being pleasantly memorable. When I pulled into the parking lot, I took more than a mental note of where I was. My childhood home was around the corner. A few weeks earlier, I had pulled out my memoir, still unworked on since last year’s NaNoWriMo. I began the painful process of re-reading it, but stopped after the first chapter, the chapter about my mother’s nervous breakdown and living in this neighborhood. After that reading, I felt God nudge me to contact the one last neighbor who I knew still lived in the neighborhood. But I didn’t act on it. Although this wasn’t the home or neighborhood I was born in, I knew God was giving me another nudge, on my birthday, to pursue this last link to my childhood. I’d been to this neighborhood before several times as an adult. It was one of the first places I visited when my husband and I moved to the state of Washington about 25 years ago. At that time I went so far as to meet the residents, the people who bought the home from my parents in 1966. This day’s visit was to the neighbor’s house though. The name on the mailbox was still the surname of a childhood friend. Maybe, just maybe, I would get some more insight into the day my mother had her nervous breakdown and our life on that street. I knocked on the door. There was no answer. I was torn. Should I leave a note under the door? I just couldn’t believe that God brought me to this doorstep without as much as an answer. So I took the bold step of going next door to my former home. An elderly woman answered the door. I told her a bit about who I was, a writer, etc., and asked about the neighbor. I was surprised when she invited me into the home and even offered me a seat in the living room. 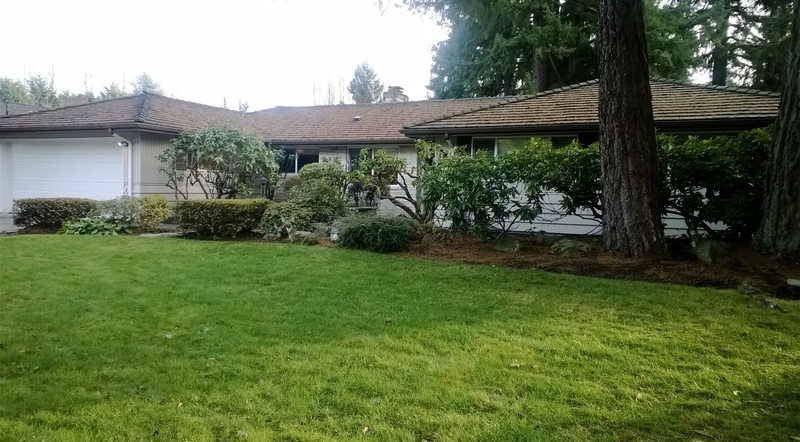 Hiding behind the 50-year old landscaping lies my childhood home. It was surreal. I had just written a post about the events of JFK’s assassination on that day—my birthday—50 years ago. And here I was sitting in the same room where I watched the unfolding of those horrific events in our nation’s history. I shed a tear or two in the retelling of the significance of that home. The couple was quite kind to me. They gave me free reign of the house, asked me things about the property, and what it was like back in those days. The house seemed much smaller to me than I remembered, but that isn’t unusual in light of the fact I was a mere 3-6 years old when we lived there. Regarding the neighbor, I found out that he had sold the house and moved out a month ago. Too bad I didn’t follow that nudge back then, I thought to myself. But his dementia would’ve precluded his ability to help me anyway. 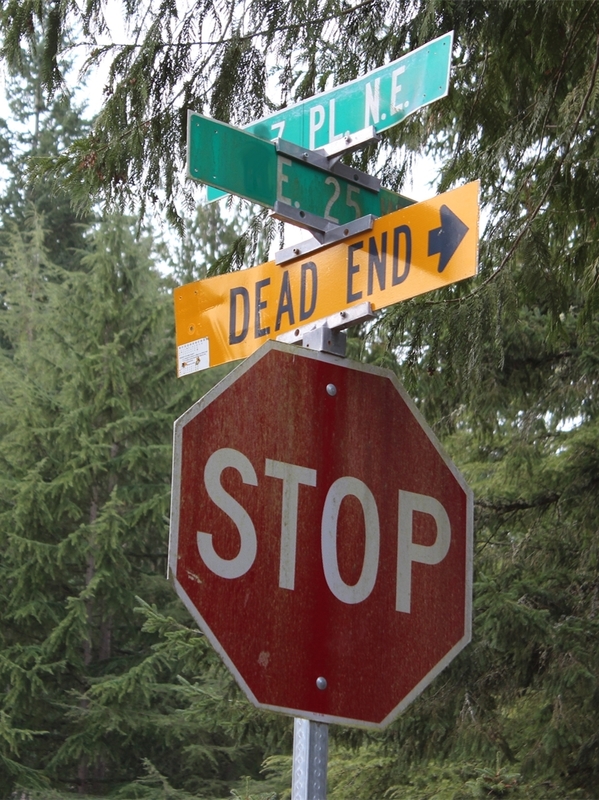 The street sign may have read ‘DEAD END’, but the events of the day proved otherwise. What Lies Around the Corner? It was all so unanticipated—to stop by the neighborhood, to knock on their door, and most assuredly to be invited inside. Their invitation and interest was a precious gift to me, one that I’m not sure they were really able to fully comprehend. Out of my gratitude for their kindness to me, I gave them a signed copy of my book. Plan as we may, we never really know for sure what lies ahead in our lives from day to day. What if God is calling us to something just around the corner? Would you heed to His nudge? Would you blindly do something that to outsiders may look foolish or presumptuous? Some may say I have a habit of doing those things. Others see it as obedience and trusting God when I embrace these chance encounters. I’m just grateful that He cares enough to give me these little kisses from above, and that others may be inspired to do the same—turning their healing into hope. In the end, I really was able to go home again. And that really was the proverbial icing on the cake for my 54th birthday. “There’s a grief that can’t be spoken. There’s a pain goes on and on.” No truer words were spoken with the loss of a child. Or sung. (Empty Chairs at Empty Tables, Les Miserables). When my birthday rolled around this year on November 22, I was reminded again of the significance of that day in history. It was on my fourth birthday in 1963 that President John F. Kennedy was assassinated, and I remember it well. I hadn’t heard the word “assassinate” before that day. The sorrow that gripped my family also gripped the nation. I didn’t like it. I wanted it to go away. But every day the television was awash in news stories as the nation prepared to bury our president. Four days in history. Four days in mourning. Four days that shook our nation and the world, now commemorated 50 years ago. You don’t have to be a history buff to know that Friday marks the 50th anniversary of the assassination of President John F. Kennedy (commonly referred to as JFK). The magazine stands at the grocery check-out counter are filled with commemorative editions of that painful time in American history. Television programs are airing with their historical accounts as well. 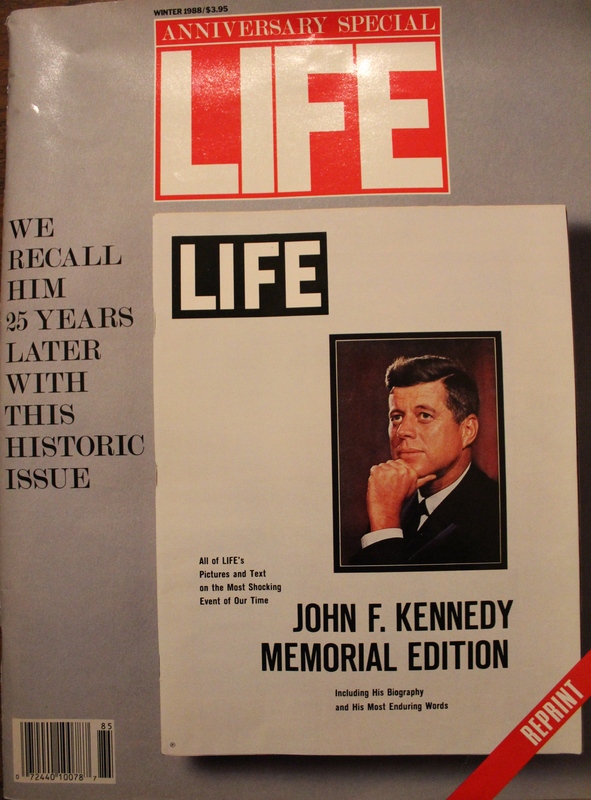 One of many magazines and books I’ve collected about JFK over the years, 1988. It was a day that changed America; maybe not much different than the events of 9-11 are for this generation. Kennedy’s assassination also marked the loss of a sense of safety and security in our lives. It was a time when Americans came face to face with evil in our country—the first signs of terrorism on our soil, so to speak. 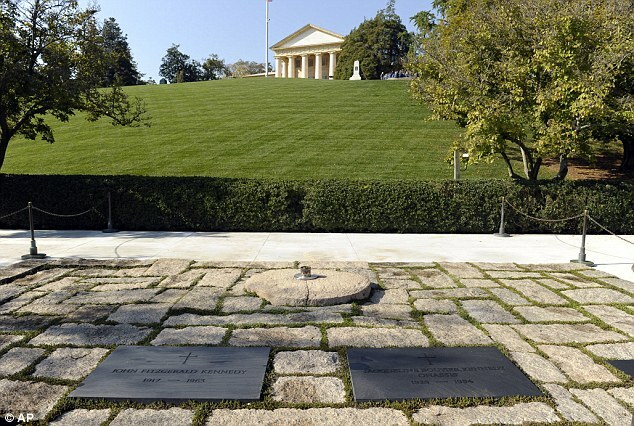 The assassination of JFK sent shock and grief into our nation and the world. All eyes turned to America. In 1963, television news wasn’t the 24/7 force that it is today. It was in its infancy stages. In fact, the first televised presidential debates were held between John F. Kennedy and Richard M. Nixon in 1960. For four days in our nation’s history, November 22-25, 1963, people were glued to their television sets. We watched clips of the unfolding of the story: the President’s body flying back to Washington DC, people filing past his body lying in state at the U.S. Capitol, the horse-drawn carriage of the flag-draped coffin slowly proceeding to Arlington National cemetery. JFK, Jr. models courage and honor at the tender young age of 3 years old. In the midst of this sorrow, we also watched the assassination of Lee Harvey Oswald, the suspected assassin of JFK, by Jack Ruby on live television. 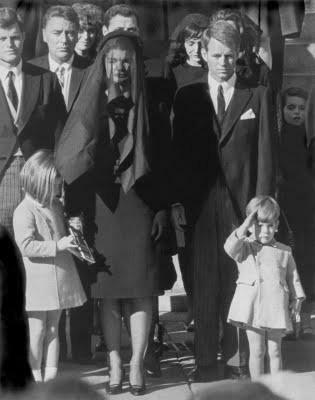 Then there was the emblazoned image of little 3-year old John F. Kennedy, Jr., saluting the coffin as it passed by in front of him. It was definitely a grief that shook our nation. What if that day was also the much anticipated birthday of a bubbly 4-year old girl? Maybe the grief of the nation was also the grief that shook this young girl who desperately desired and wanted the attention and love of her own parents. Instead her wants and desires were overshadowed by the grief of our nation. 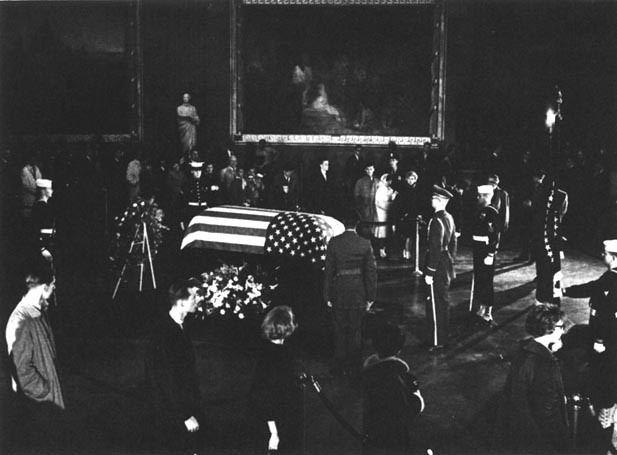 Kennedy’s body lies in state–a grief that shook the nation. What if the disappointments that surfaced on that day for that little girl went on to fuel and magnify other losses, and the belief that she was unimportant and unloved? What if a few years later, that same little girl, watches as her mother is taken away after suffering a nervous breakdown? What if she keeps longing for answers to what happened and why, but she doesn’t get resolution? These are sad things to think about, for sure. I know because that little girl was me. I, like the rest of the world, will probably never know the real answer or motives behind what happened 50 years ago in Dallas, Texas on November 22, 1963. Yet as my 54th birthday quickly approaches, I’m getting answers to some questions that my 4-year old Ardis has been longing to know. It is a gift from above to finally get more clarity on my life and move forward with it. So I look at the passing of another year’s reminder of the assassination of JFK through a different lens. It is through the lens of someone who carries 11-22 as a joyful marker of her birth, while also still processing the reminders of a painful childhood. I’m grateful that the Lord is giving me the ability to hold both of those realities in the palm of my hand and know that He is turning my healing into hope.